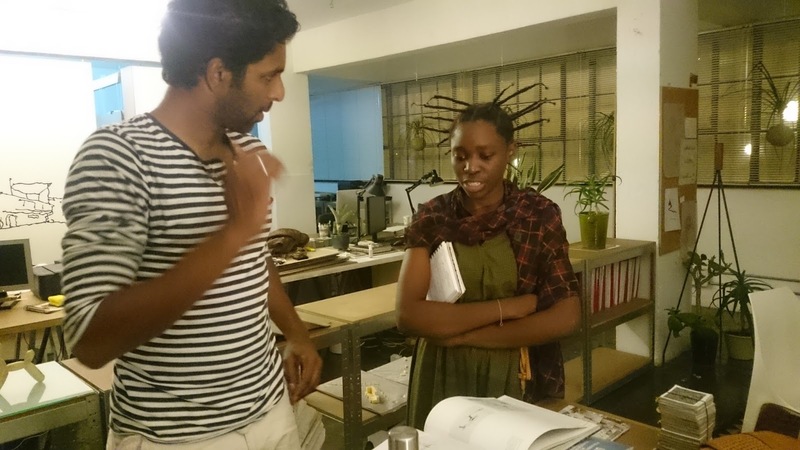 In 2016 I began teaching with Thireshan Govender and Tuliza Sindi in the newly launched Unit System Africa from the University of Johannesburg’s Graduate School of Architecture at UJ’s FADA. 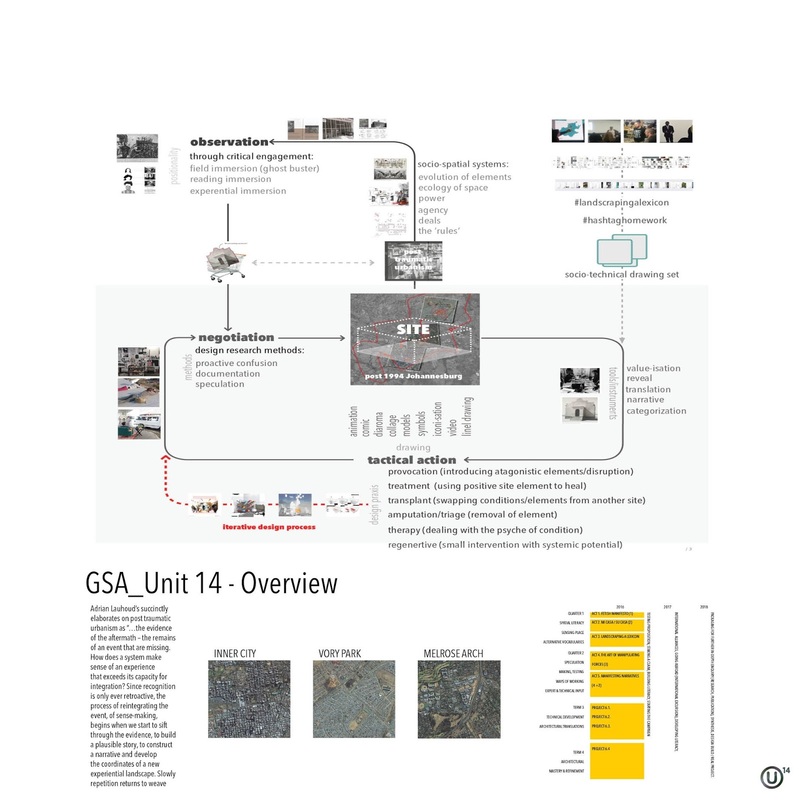 Our unit was dubbed Unit 14 and began it’s inquiry through the search for emergent post-1994 spatialities in Johannesburg. 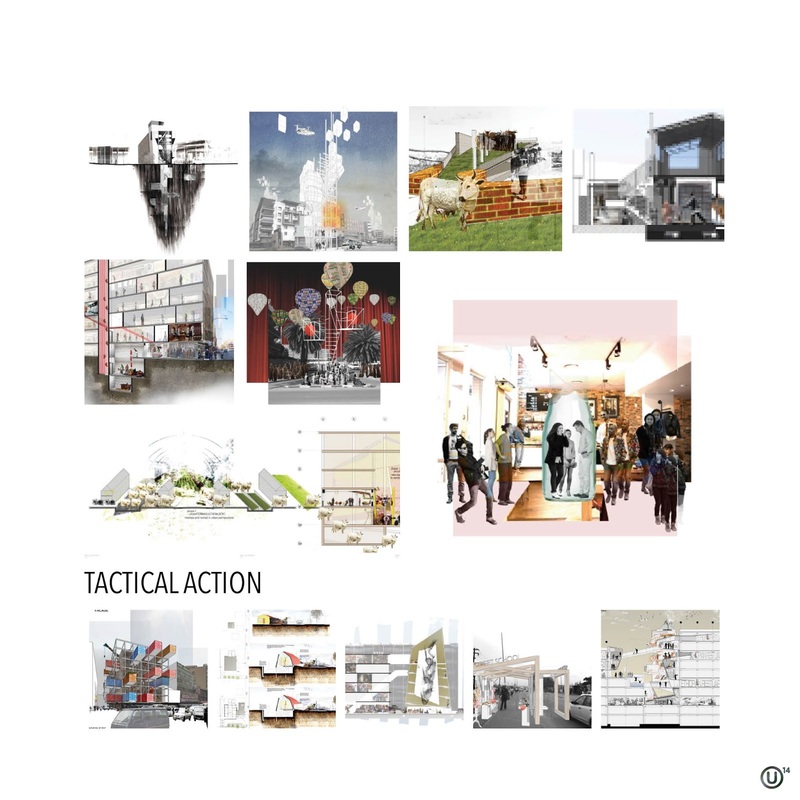 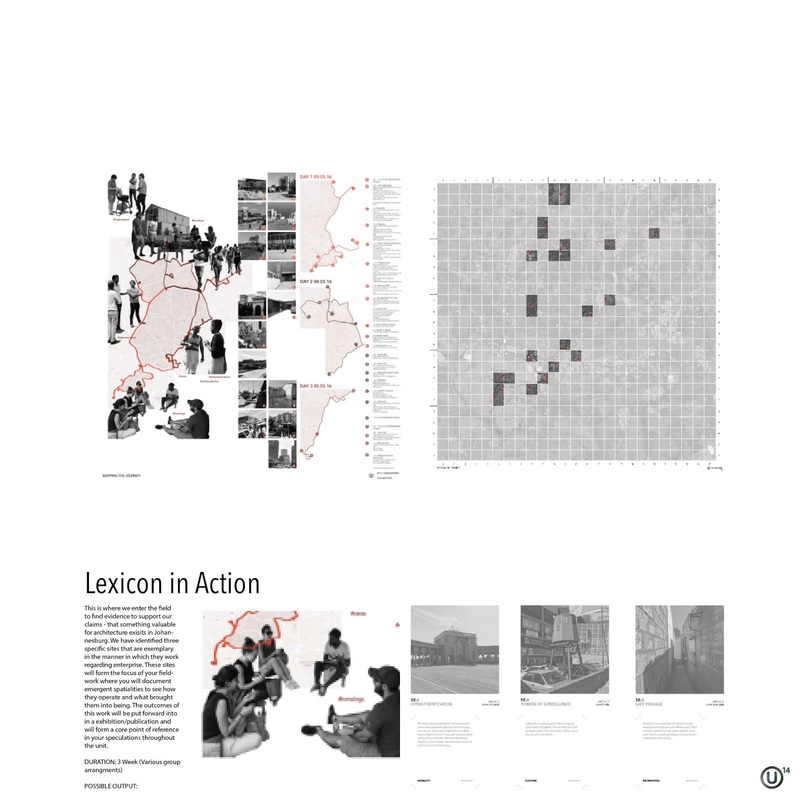 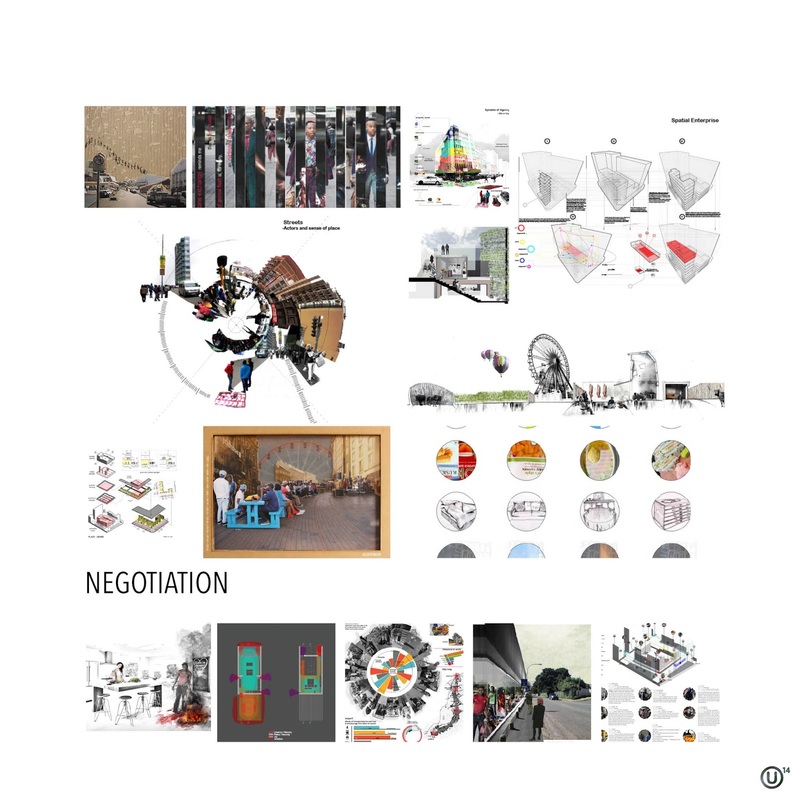 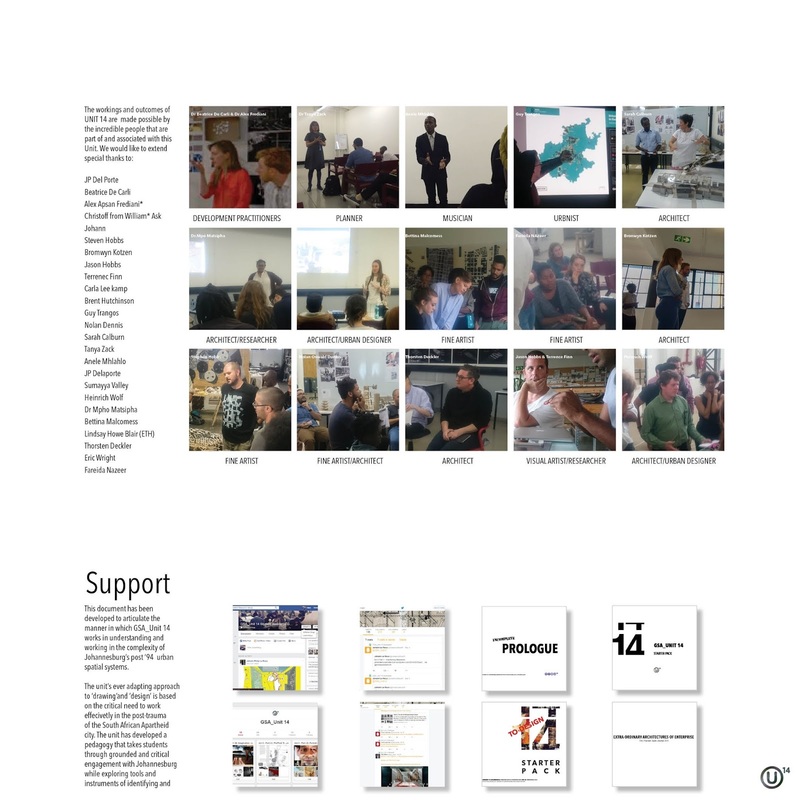 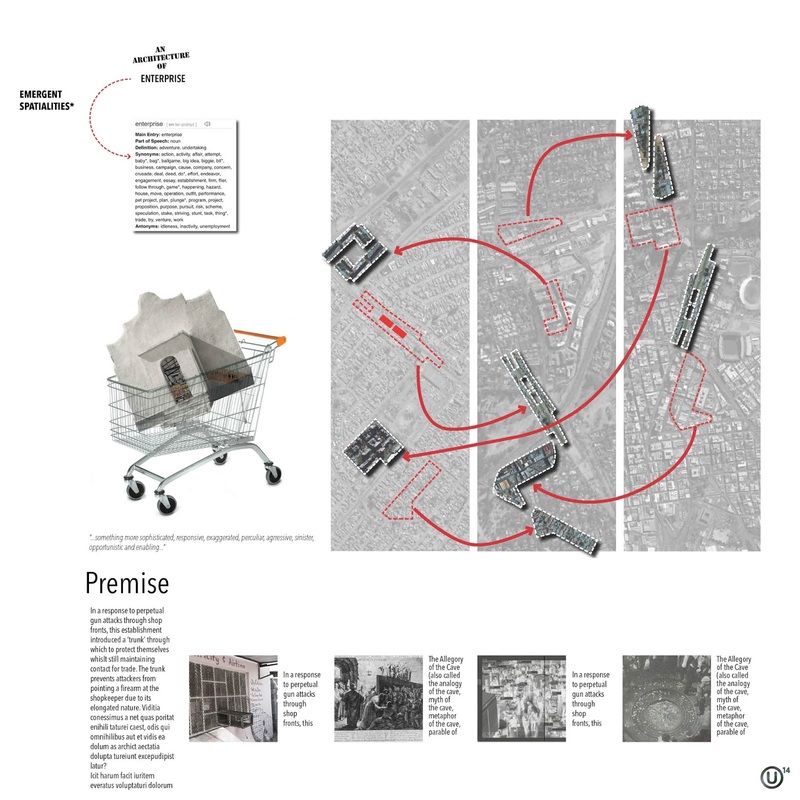 We did through the lens of Architecture’s of Enterprise and took our 14 students across Johannesburg to explore and search for these conditions. 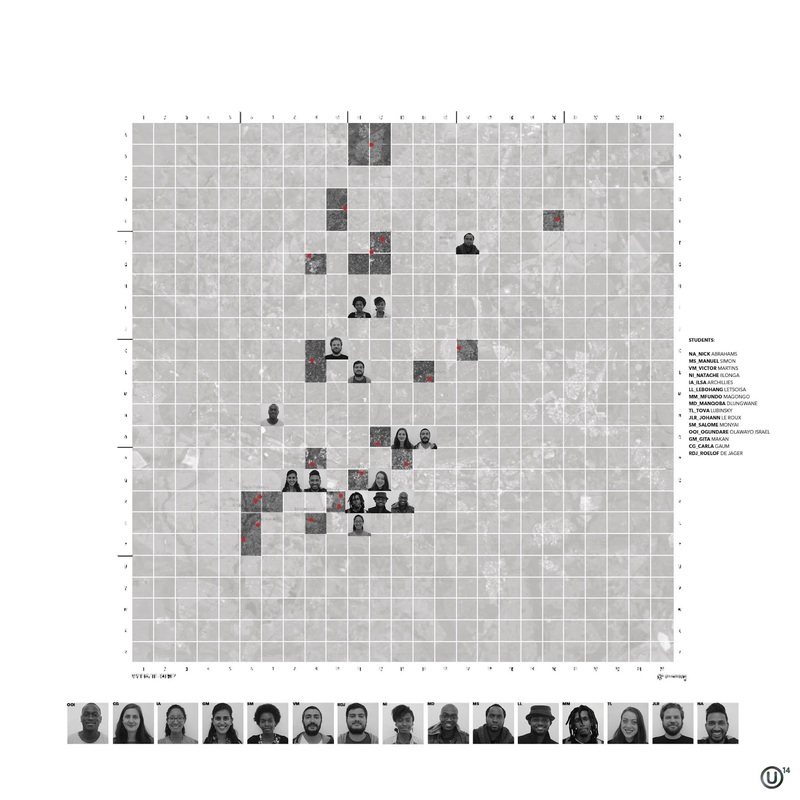 The students surveyed Johannesburg using a urban cartogrpahic technique the unit developed. 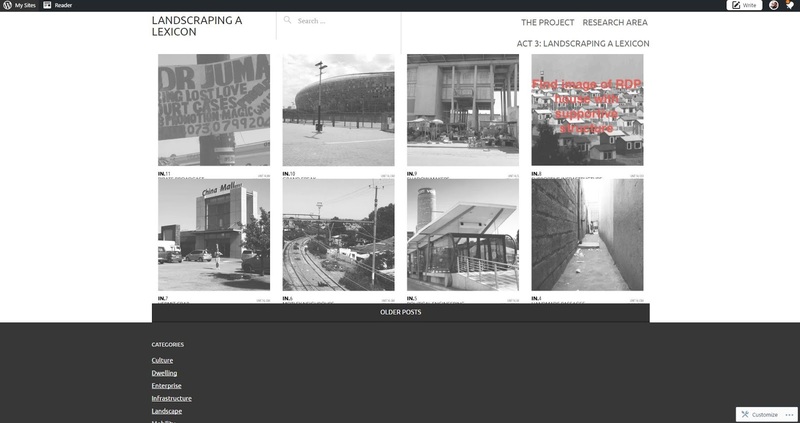 We called this a Landscraped Lexicon and was carefully documented and curated.